As a producer for many of the shows on newclevelandradio.net, I have the luxury of learning first hand from many of our hosts. 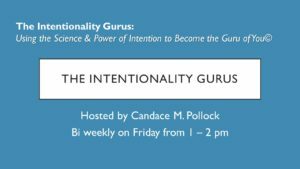 Today I want to give a very special shout out to Candace Pollock from “The Intentionality Gurus.” Candace states she is a guru (and you can be too) if you open your body, mind, and soul and begin to think and perform intentionally. You can find the guru in you! 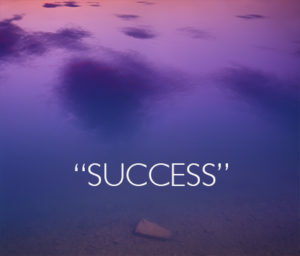 The dictionary defines guru as “a spiritual teacher, especially one who imparts initiation.” The initiation in the case of personal coaching is to “begin the action of something.” We all want to be at our best, but we often get stuck in who we are at the moment and assume we cannot change, or if we change it may not result in success. Candace is a certified life coach, and her mission is to guide you (me) to holistically grow our wisdom. 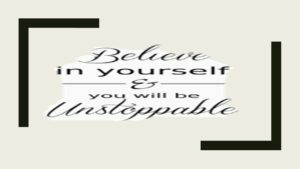 There is not a level of intelligence that we reach that identifies our apex; our brains are capable of continuous learning and change if we accept the challenge to achieve what we may want but believe (those limiting thoughts) we cannot reach. My father’s favorite poem (or at least one he recited to my brothers and me repeatedly through the years), was “It Couldn’t be Done.” This poem teaches you; It Can be Done!